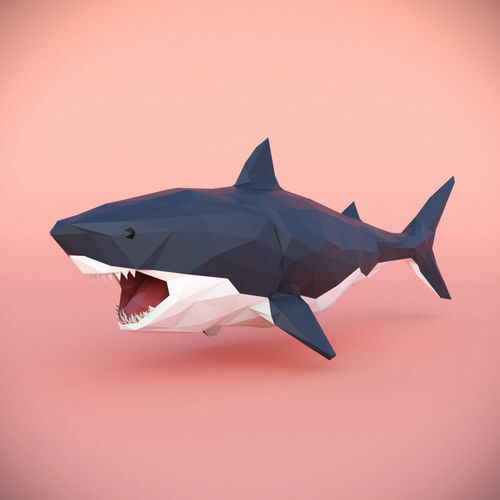 Low Poly Shark. There are the following files: 3ds max 2014; 3ds max 2017; FBX; OBJ. Final images rendered with Corona renderer 1.5. Hope you like it! Thank you very much! I checked the model on two PC, everything is displayed correctly ( Program Autodesk 3ds Max 2017, Renderer Corona 1.5). Just in case, I downloaded one more version. Thank you.